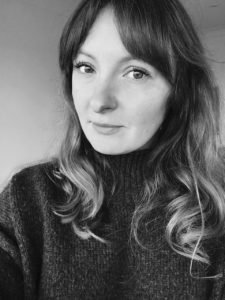 Kathryn Bishop is a writer, editor and creative consultant specialising in jewellery and watches, with more than 14 years’ background working with jewellery designers, retailers and watch brands. At present, she is deputy foresight editor of trends and insights platform LS:N Global, a division of the renowned strategic consultancy The Future Laboratory. Kathryn is a Council Member and a Trustee of the UK’s prestigious Goldsmiths’ Craft & Design Council, established in 1908 to promote, support and enhance skills and excellence in jewellery, silversmithing and the allied trades. She is also co-founder of the Women’s Jewellery Network. In 2017, she was appointed as an Expert Mentor for a global line-up of professionals taking part in the Mastered Accessories and Jewellery Accelerator programs. The former editor of Professional Jeweller magazine, Kathryn also held the role of deputy editor of WatchPro. Primarily focusing on consumer and B2B features, interviews and market analysis, Kathryn has written and sub-edited for titles and organisations including Retail Jeweller, Facets Magazine, WGSN, Jewellery & Watch Birmingham, Drapers, City AM, Metro Online and the Baselworld Brand Book. She has contributed to a number of reports and produced digital content for global jewellery intelligence and trends service Adorn Insight.